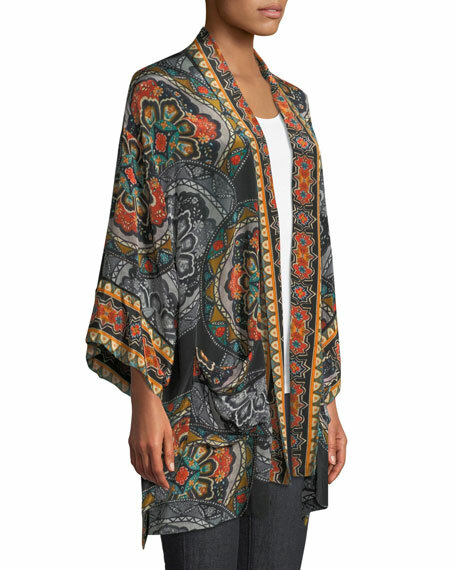 Tolani "Kayla" kimono jacket in medallion print with contrast border. Approx. length: 33"L from shoulder to hem; 33"L down center back. Is your wardrobe looking a little lackluster? 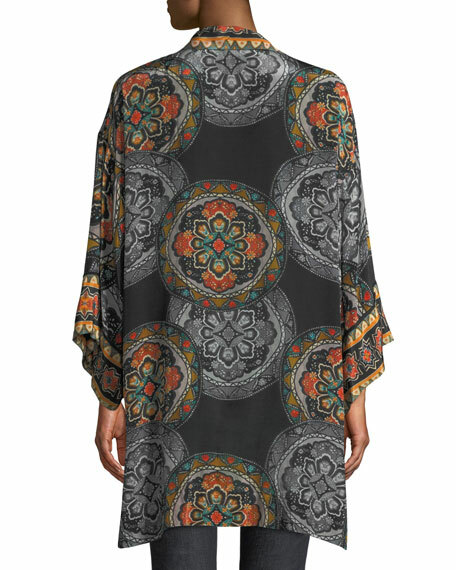 Let Tolani come to the rescue with boldly printed tunics, scarves, and dresses. Raised in northeast India, designer Alka Tolani was exposed to a rich cultural heritage, which influences her designs today. 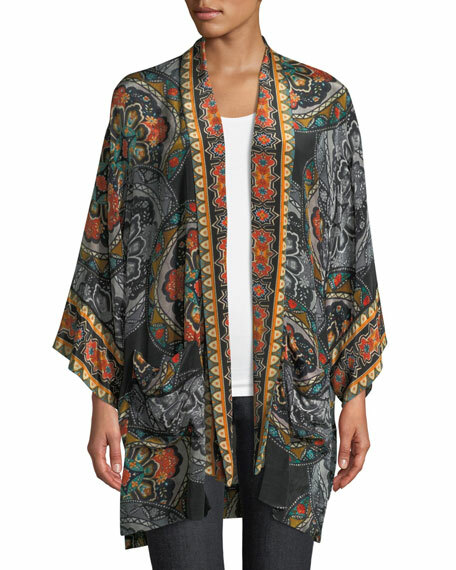 Vibrant colors and eye-catching prints blend together beautifully, while her flowy tunics pair with everything from skinny white jeans, to black leggings, to linen skirts. For in-store inquiries, use sku #2639852.